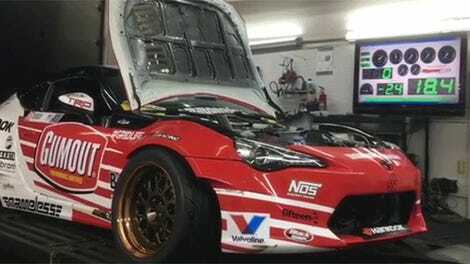 This is a twin-supercharged V12 Ferrari 599 drift car. 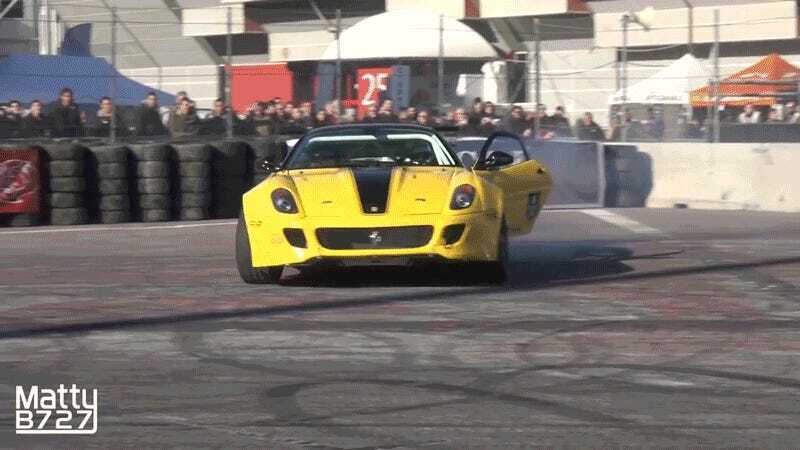 I’ll repeat: This is a Ferrari 599, twin supercharged, competing in Formula Drift in America this year. The driver is Federico Sceriffo, who did his drift training in Japan under the tutelage of the legendary Team Orange. As such, though this is an Italian car with an Italian driver, it’s a very Japanese-style build. It rides tall and drives super darty, agile to the point of looking nervous. It’s like it’s fighting itself down the track. And it’s coming to Formula Drift! I’m so excited to see this thing run. If you want to hear more about Sceriffo and how he came to drive (not own—he’s not a gazillionaire) “Fiorella,” from the tentative approval of Ferrari to the process of putting it together, listen to his big interview on the Maximum Driftcast podcast.